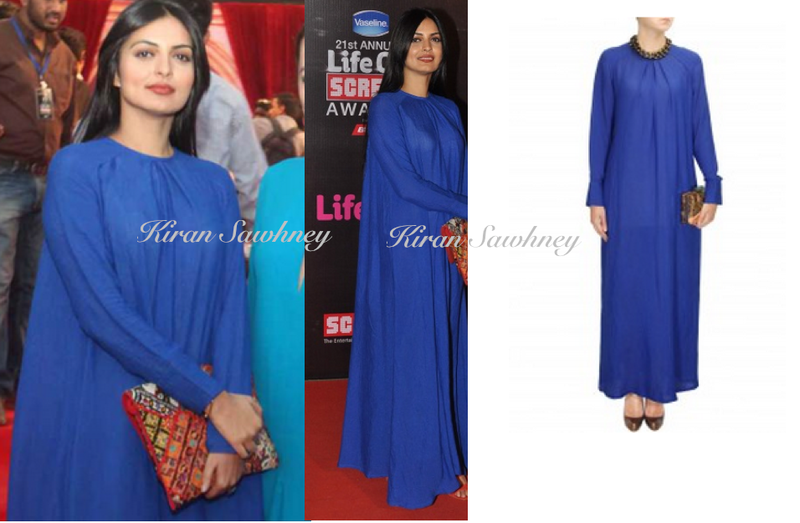 Niharika attended the screen awards wearing a Bugalow 8 royal blue Simone dress. She paired the plain blue with a ethnic looking oversized clutch. We like the loose and the relaxed fit with pleating on the neck. She kept the makeup natural and hair open with a centre parting. There is something very likeable about this look. Although, this full sleeve, loose maxi has a Mother Mary feel to it, it is fresh, refreshing, easy breezy and vibrant. We quite like it specially after seeing so much bling on the red carpet, this certainly was a refreshing change.